Watch Ultra HD (UHD) 4K Blu-rayTM movies on your 4K TV and stream 4K video on Netflix (available now) and Amazon Video (coming soon). Experience richer, more luminous colors in games and video with High Dynamic Range (HDR) technology. In case of defective consoles contact - http://support.xbox.com/en-US/contact-us. Play the greatest games lineup like Gears of War 4, DeadRising 4, Forza Horizon 3 and ReCore, including Xbox 360 classics. 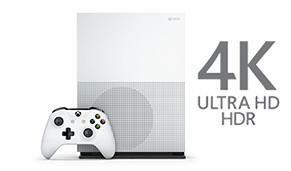 Includes Xbox One S console, 2TB Hard Drive (Internal), Xbox Wireless Controller (with 3.5mm headset jack), Console stand (for vertical orientation), HDMI cable (4K Capable), AC Power cable, 14-day Xbox Live Gold Trial. 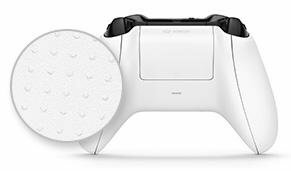 Just don’t let its size fool you: with an internal power supply and up to 2TB of internal storage, the Xbox One S is the most advanced Xbox ever. Stream 4K video on Netflix (available now) and Amazon Video (coming soon), and watch UHD Blu-ray movies in stunning 4K Ultra HD. 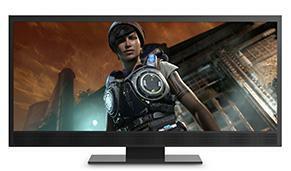 - Experience richer, more luminous colors in games and video with High Dynamic Range. - Stream 4K video on Netflix and Amazon Video, and watch UHD Blu-ray movies in stunning 4K Ultra HD. 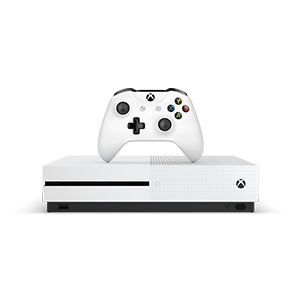 - Enjoy the freedom to play Xbox Play Anywhere games on both Xbox One and Windows 10 PC at no additional cost. Copyright © 2019 -Game Center. All rights reserved.